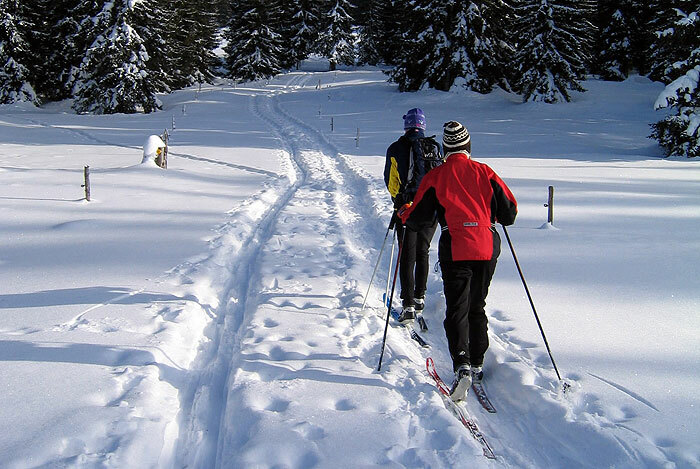 Explore the cross country skiing paradise Val Gardena and enjoy winter sports in your holiday. Well groomed and maintained cross country tracks in several levels of difficulty for beginners and advanced skiers are available. Winter sport in your holiday in Val Gardena means fun and variety in the beautiful natural scenery of the Dolomites. The Vallunga in Selva di Gardena is located in the nature park Puez-Odle and offers a unique setting for cross country skiing enthusiasts. 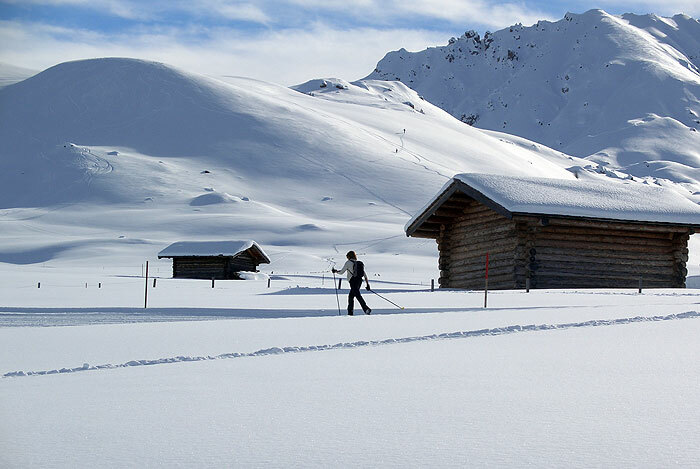 Experienced cross-country skiers can traverse the entire Vallunga while beginners discover the shorter tracks in the flat part of the valley. A branch office of the ski and cross country skiing school Selva and a cross country ski rental are at your disposal. 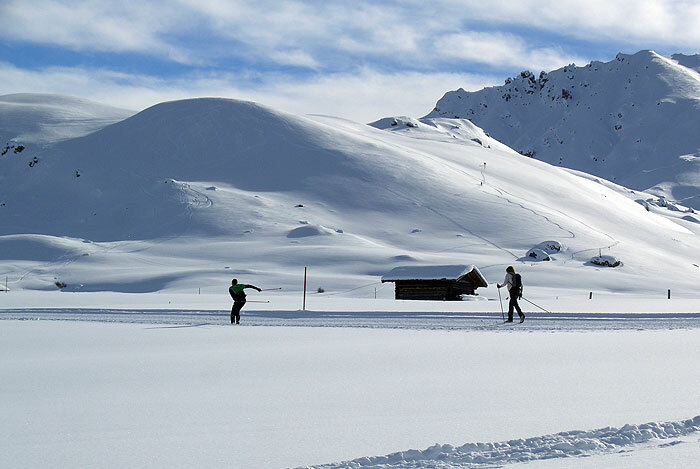 Cross country skiing in Val Gardena is an unforgettable experience in the Nordic centre Monte Pana in S. Cristina too. The various trails are suitable for leisure time and competitions. 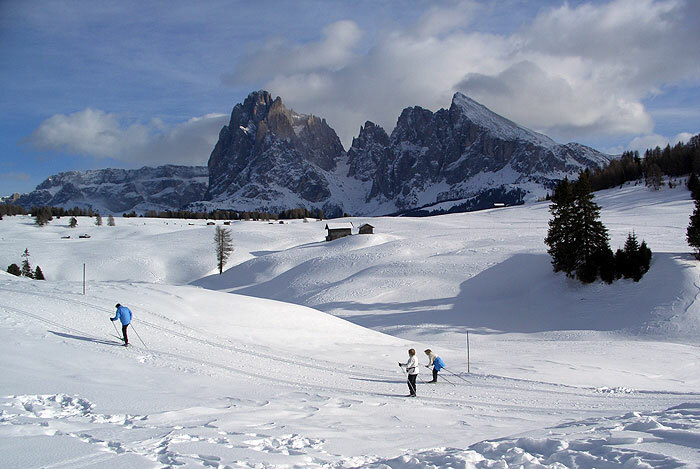 In close proximity to Val Gardena at the Alpe di Siusi are beautiful cross country skiing tracks as well. They can easily be reached with the lift facility from Ortisei. Cross country skiing in Val Gardena means enjoying the outdoors, motion in crystal-clear air surrounded by snow-covered forests in the impressive natural scenery of the UNESCO World Heritage Site.